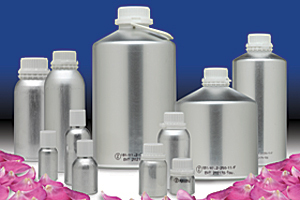 Aluminum essential oil bottles are ideal for packaging essential oils, flavors, and cosmetic products. Essential oils and flavors have been packaged in aluminum bottles for decades. 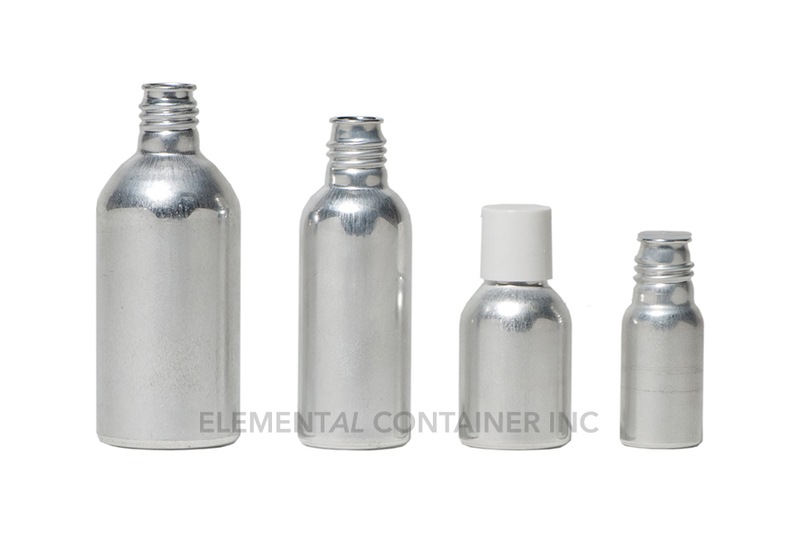 Aluminum essential oil bottles by Elemental Container provide superior protection from spoilage. Most essential oils can be stored easily in plain aluminum; in a few cases, epoxyphenolic coatings are used to ensure product compatibility. Ranging from 50 ml (1.6 oz) to 1,100 ml (37 oz. 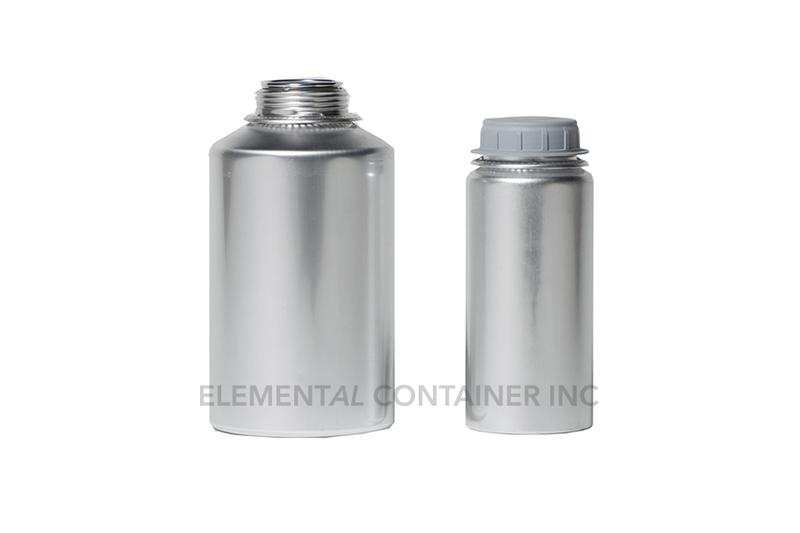 ), the Plus 32 industrial aluminum bottles line has a strong tamper-evident closure and is the smallest of the Plus series. 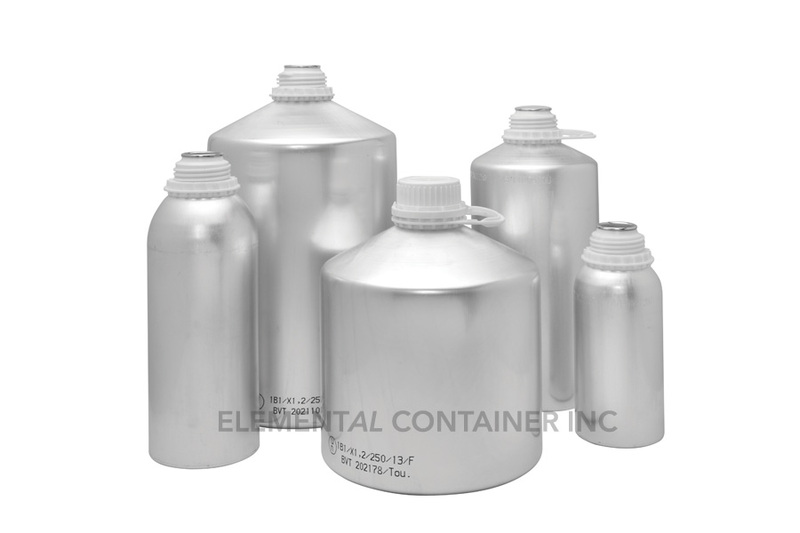 They are ideal for shipping small samples or small orders of liquid products. 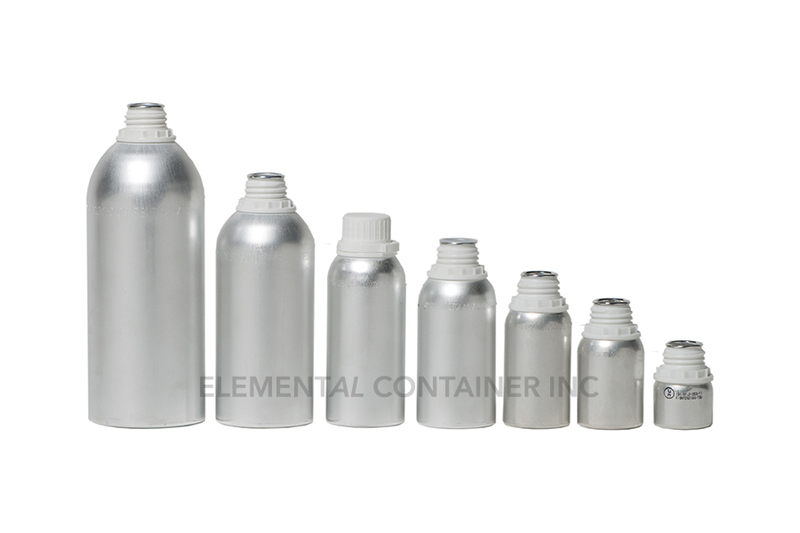 The Plus 32 industrial aluminum bottle meets UN standards for single packaging. Similar to the Plus 32 line, Plus 45 industrial aluminum bottles are the "midrange" of the Plus series and are ideal for storing liquids. They have tamper-evident closures and range from 625 ml (21 oz.) to 6,250ml (211 oz.). They are also UN approved for single packaging. The Plus 62 industrial aluminum bottle is the largest in the Plus series and ranges from 6,250 ml (211 oz.) to 32 liters (1,082 oz.). It features a rotatable handle with secondary tamper-proof capability. With its large 46 mm (1.81") inner neck diameter opening, it can be used for holding all types of viscous or liquid products and is UN approved for single packaging. Ranging from 19 ml (0.7 oz.) to 160 ml (5.6 oz.) this is a one-piece bottle with rolled aluminum external screw neck thread. They are ideal for holding all types of liquids like perfumes, colognes, etc., and have a unique rustic appearance. This model has a capacity ranging from 2,500 ml (88 oz.) to 32 liters (1,080 oz.). 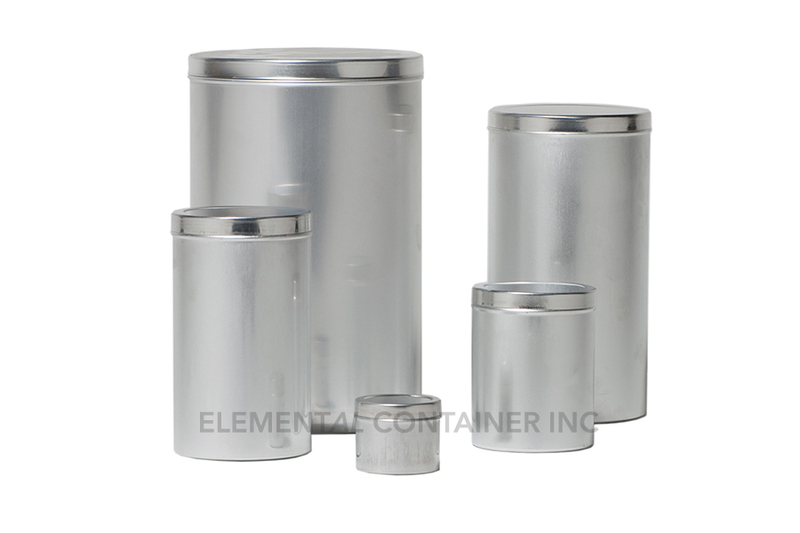 With its wide mouth 69mm (2.71") inner neck diameter, it is perfect for storing and shipping viscous products and powders. Ranging from 125ml (4oz) to 12,500ml (422oz). 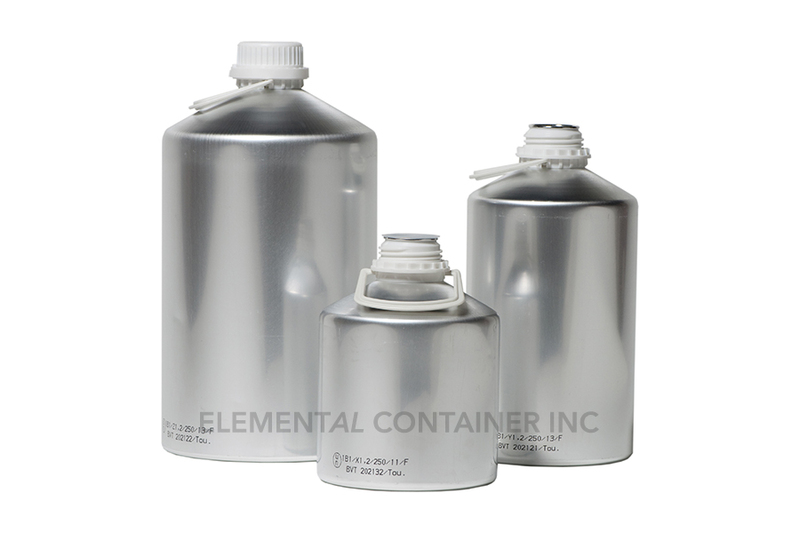 These cans are often used to store crystallized products and powders. The closure system is a coverlid. Perfumery & Distillation Equipment Engineered and Manufactured By Tournaire S.A Parent Company Of Elemental Container Inc. Flowers, leaves, gums, resins, various types of powder… Whatever the raw materials to be processed, Tournaire’s Equipment Division can design and produce the system best suited to the client’s requirements. Production of natural extracts for pharmaceuticals, fine chemistry, flavorings and perfumery… process know-how and solutions based on extraction, distillation, and rectification with static or stirred batch extractors enable Tournaire’s Equipment Division to meet every need. In more than 70 countries on the six continents, the leading companies in every sector place their trust in the teams of Tournaire’s Equipment Division to extract and produce the required specialties. In a sector like industrial equipment, where the market is often scattered and fragmented, Tournaire, thanks to its Equipment Division, is the only company offering a cross-cutting service, capable of designing a complete production process with premium solutions and, thanks to its unique engineering skills, offering turnkey and customized systems that precisely meet client needs and expectations.